I was struck by how many lives this door has had. 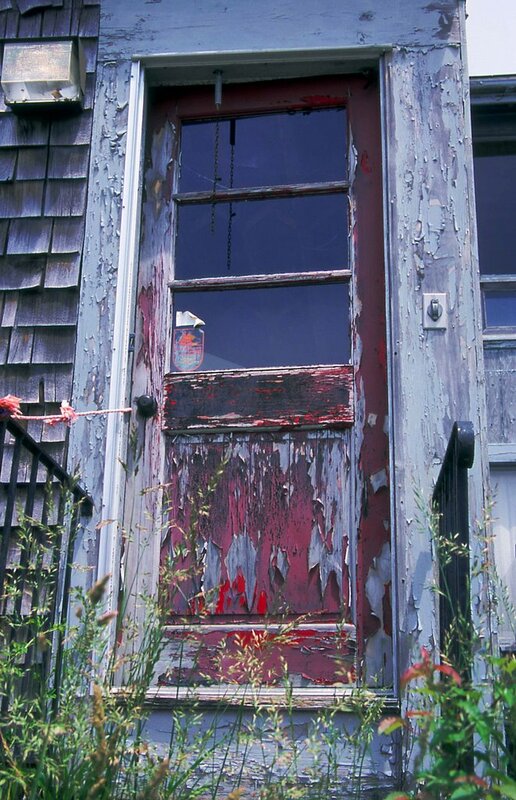 It was on an old building at the Duxbury boat yard and is no longer there. The building has been renovated and the door replaced. What a shame! I've visited art galleries where relics such as this one have been on display. Functional art. I want to believe that this door--with all its character and history and color--found another life in someone's home or in an exhibit. Thanks for preserving and displaying it here.